Marquinton Mall aka. Bluewave Mall is the newest mall in the City of Marikina. It can be found right in the heart of the city. It is a great place to eat especially with your friends and family. Famous classy establishments and also fine-dining restaurants like Super Bowl of China, Jollibee, Kentucky Fried Chicken, Starbuck's Coffee, Shakey's, Pancake House, Gerry's Grill, Tapa King, and Kitaro are just some of the choices. Whether you're in the mood for Japanese, Chinese, European, American or Filipino, you can have everything in Bluewave Mall. Four state-of-the-art cinemas can be found on the top floor where you can eat and watch a movie. Bluewave Mall truly has gone a long way since its opening on 2005. It has opened another branch this year and it's just right across the street. This time it has Robinson's Supermarket. 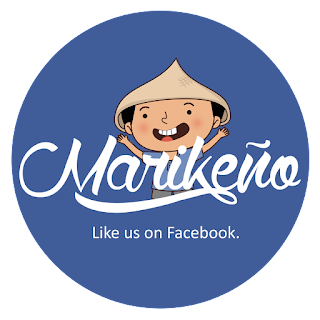 So locals can easily buy food and things for their family, right within the vicinity of Marikina. Hey, love ya Wencel! I miss Marikina so much. It was my favorite place in the mission. I am happy to see that it is growing and strong! keep up the good fight. This is my favorite blog spot of yours. Please keep it updated.